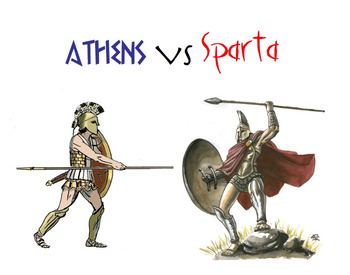 This is a comprehensive study of ancient Athens and Sparta. There is a Powerpoint for each of the two city-states, and also two graphic organizers to use during or after. There is a thorough chart where students can write notes about different categories such as government, education, daily life, along with an answer key. There is also a blank Venn-diagram included. Both graphic organizers can be used as group work or for assessment purposes. I have included an introduction to Greek city-states which can be used as an introduction to the unit.